Let's just do another thread for this. Which one? I am unable to view the site where I am. That one. Most Wanted. The newer MW. Most Wanted. The newer MW. Got the game.... So happy I didn't buy it. It is terribly made. It likes running at 30fps. So you will be driving at 60fps then bam 30fps stutter fest. I see a lot of fixes online though. But anyone trying this and it stutters check your fps. I am sure anyone's system can run this easily. Nice just got this as well. Had planned to buy it when it came out back in the days but glad I didn't too lol. 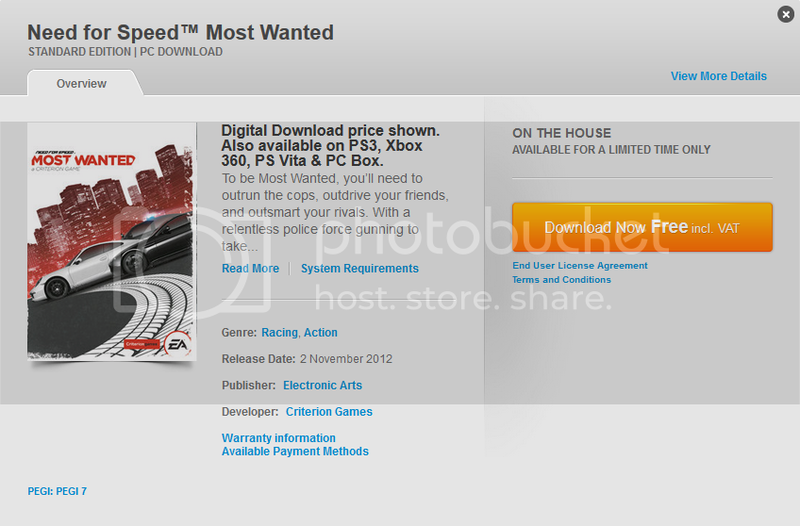 As the title says Origin is giving the 2012 NFS on the house. GOG has some good stuff going on.